The global economy is slowing down and its effect will be profound. The three key regions −the United States, Asia (mainly China and Japan), and Europe −are witnessing slowing economic growth. This means less production of goods, higher unemployment, and possibly economic upheaval. Economists have been stating for some time that the global economy is beginning to slow down. 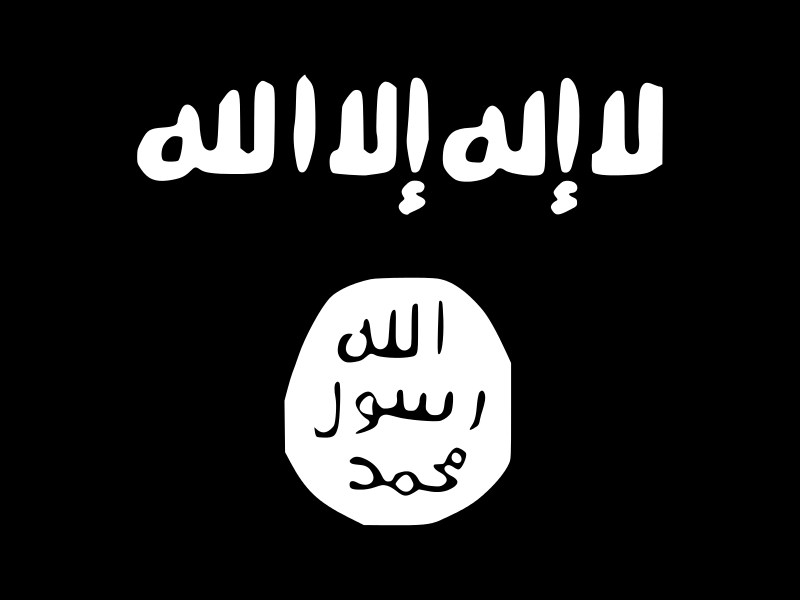 While the slow down is gradual, they worry about the effects it will have on many nations. The slow down is being felt in The United States, China, Japan, and Europe. Each is seeing a gradual decline in gross domestic product (GDP), less consumption of consumer goods, and a smaller number of jobs for workers in their respective countries. Their big concern is when the decline will stop and how far down will their economies go. The American economy is seeing a decline in its GDP. In the second quarter of 2018 the United States economy saw GDP growing to 4.2 percent and then 3.4 percent in the third quarter, mainly due to the Republican-sponsored tax cut bill. However, in the fourth quarter of 2018 GDP grew at a rate of 2.6 percent with an overall growth rate of 2.9 percent for the year. But this was below the Trump Administration’s promised annual GDP growth rate of between 4 and 6 percent. While growth was spurred on by such items as motor vehicle sales, prescription drugs, and business investments including intellectual property, areas such as housing investments and retail sales saw a drop in the last quarter of 2018. Housing is starting to show a drop as construction starts fell 8.7 percent in February 2019 which marked a decrease for single-family homes that was the lowest in almost two years. According to the Commerce Department, new construction for single-family homes saw a seasonally adjusted drop in February 2019 to 1.16 million from 1.27 million in January. New construction for single-family homes in 2019 is down 2.3 percent from 2018 even while mortgage interest rates have fallen. Consumer spending is also decreasing. In December, retail sales were down by 1.2 percent while revenues for the service sector was only up a seasonally-adjusted 1.2 percent in the fourth quarter of 2018. This was the weakest growth pace in five quarters. There has also been a decline in oil prices as seen in West Texas Intermediate futures which is regarded as the benchmark for American crude oil. As of March 22nd, the price of a barrel of crude oil in the West Texas Intermediate futures was down 1.6 percent ending at $59.04. At the same time, Brent crude oil which is the standard for global oil, was down 1.2 percent to $67.03 a barrel on March 22nd. There are concerns amongst analysts that energy demands will weaken signaling a slowing American and global economy. Adding to these concerns is the declining price of commodities such as copper. The S&P 500 energy and materials sectors saw a decline of 2 percent each and copper futures reached their lowest point in 30 days. Possibly the most important sign for a weakening American economy is the announcement by Chairman Jerome H. Powell of the Federal Reserve Bank that it would not raise interest rates as planned in 2019 since it forecasts that the macro-economy of the United States was slowing down more than anticipated. Powell and the Fed planned to leave interest rates unchanged and did not have a good forecast for the American economy. The Fed is anticipating 2.1 percent economic growth in 2019 as opposed to its forecast of 2.3 percent growth it made in December of 2018. The Fed is anticipating consumer spending, business investment, and job growth to slow down in the coming months. The Fed is not concerned about the threat of inflation, but what to do in case the American economy slips into a recession. It does not help the American economy that Federal budget deficits are expected to be $1 trillion annually and that retaliatory trade tariffs will actually make it more difficult to sell American goods in foreign markets. Economic growth in Europe, and specifically the European Union (EU), is starting to slow down to the point that economists are talking about recession for certain nations. There have been decreases in trade activity and production in vehicles and other goods. Adding to these concerns has been social tension in places such as Italy and Britain along with fiscal policy uncertainties. The European Commission (EC) has projected that in the euro area and the EU the economy grew by 1.9 percent in 2018 versus 2.4 percent in 2017. The EC projects that the GDP growth rate for the EU will be 1.5 percent in 2019 and 1.7 percent in 2020. Among the EU nations likely to see large economic contraction are Germany, the Netherlands, and Italy. There is also lessening in business and consumer sentiment regarding economic growth. The EC’s Sentiment Indicator covering the 19-member eurozone which acts as an aggregate compilation of consumer and business confidence, went from 106.3 in January 2019 to 106.1 in February indicating ten consecutive months of decreases for this index. Key European nations are seeing a slow down in their economic activity that is significantly contributing to this situation. 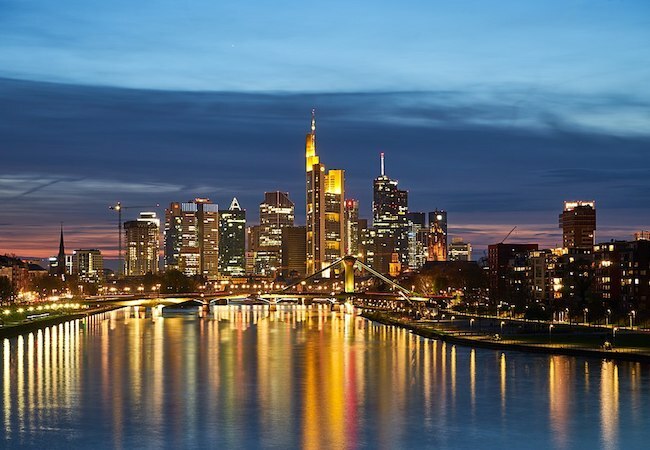 Europe’s largest economy, Germany, has seen its GDP go from 1.4 percent growth to a revised 0.7 percent in 2019. Among the reasons for its reduced economic growth are a global slowdown along with weaker car industry sales since German consumers have cut back on purchases. Germany has also seen its factory orders decline 1.6 percent in December 2018. 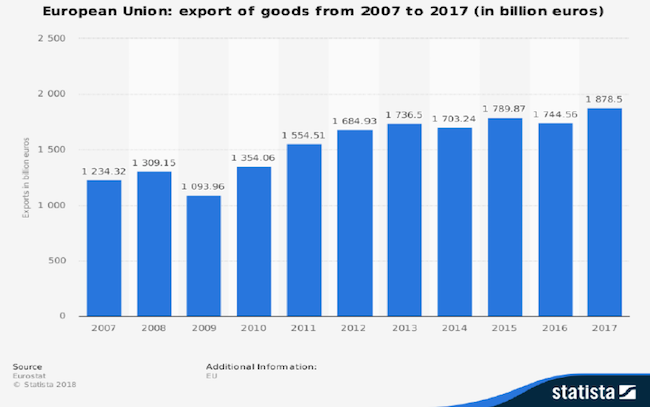 Germany’s economy is highly dependent on trade and with the global economy slowing down, this reduces its sales of goods and products in foreign markets. Germany is also hurt by trade conflicts with the United States due to the actions of the Trump Administration. The United States is a large market for Germany, and a reduction in trade volume can only bring bad news to German manufacturers. Italy is also experiencing economic contraction as the OECD has revised the country’s economic growth in 2019 to be -0.2 percent versus an earlier projection of 0.8 percent. Italy, which has the third largest economy in Europe, not only has political uncertainty, but has governmental budget problems since it has violated the EU’s fiscal guidelines in 2018 by proposing a 2.4 percent deficit. Worsening the situation is Italy’s massive national debt burden, along with the European Central Bank’s decision to halt its purchases of Italian sovereign bonds as part of its quantitative-easing plan. Italy’s economy has always been in dire shape, but things could get worse with a global economic slowdown. Perhaps the worst situation in all of Europe is the uncertainty of Britain. The nation’s economy will probably see growth of only 1.3 percent in 2019 versus 1.4 percent in 2018. But this could be regarded as a conservative projection depending on the situation with Brexit. The EU will not hold its collective breath if a soft Brexit cannot be achieved and it will force Britain to make a hard, hasty exit. This will cause much uncertainty in Britain and has already resulted in the measure of confidence of service providers in the country, who make up 80 percent of its economic activity, to severely drop in February 2019 and plummet to its lowest point since October 2012. The situation with Prime Minister Theresa May does not help Britain’s economic situation since the political uncertainty is a huge distraction. British lawmakers are reluctant to leave the EU if no trade agreement exists. But they must have a deal that is both workable for Britain and the EU policymakers. The two Asian major economies, China and Japan, are experiencing economic slow downs that will have global implications. With the second and third largest economies in the world, China and Japan have a deep impact on the strength of the global economy. But each has their own problems that will slow their respective economic growth. Japan’s situation is mixed. 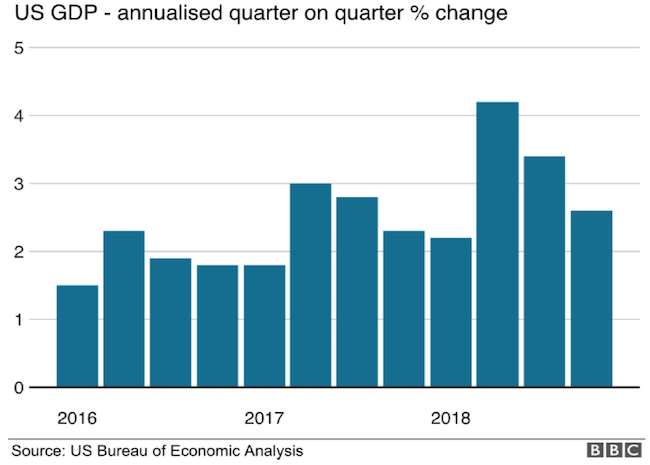 While its GDP grew by 0.5 percent in the fourth quarter of 2018, it saw a contraction in the third quarter of 0.6 percent. There has been an uptick in Japanese household consumption and more business spending after a series of natural disasters. But its projected economic growth will stay at approximately 1 percent for 2018-19. A serious problem Japan faces is that its gross general government debt has increased to 226 percent of the nation’s GDP. In order to spur on its economy, Japan’s government feels it must spend more thereby increasing its debt obligations. Japan is also seeing its population decreasing and ageing significantly. This has forced the government to eliminate barriers in employing older workers in a series of labor market reforms. These reforms include eliminating the mandatory retirement age of 60 years old. The Japanese government is also attempting to have more women in the workplace while reducing the country’s large gender wage gap. The government is even going so far as to have more foreign nationals stay in the country longer especially in industries suffering from serious labor shortages. Japan is also attempting to liberalize its trade policies. The problem is that these programs will take time to have an impact on the Japanese economy. In the meantime, Japan will probably still see uneven economic growth if not a strong possibility of a recession. China is also experiencing a slowing economy. In the third quarter of 2018, economic growth slowed to 6.5 percent which is regarded as the lowest level since the nadir of the 2009 financial crisis. Items such lagging car sales, sagging iPhone purchases, and a drop in the Shanghai stock market have been regarded as signals that the Chinese economy will be hitting a rough patch for a while. The problem is that a slowing economy in the Middle Kingdom will have a ripple effect for the rest of the world. Making matters worse is the recent trade war between China and the Trump Administration. A trade war means that China’s economy will slow down and could lead to massive unemployment. A key uncertainty is that if a trade deal is reached between China and the United States, how will affect both nations? China is also facing other economic and financial problems. The very real possibility exists that China could have its first annual current account deficit since 1993. This means that China will now become a borrower instead of its traditional lender role so that it must start to liberalize its financial system and work to attract more capital from around the globe. It could mean that China may have to take its controls off the yuan and have it become a free-floating currency. Whether China is ready for this move is a total unknown. Another significant problem that China faces is the amount of debt it has. As of 2017, the amount of total debt for the country was 255.7 percent of its GDP which embodies its quickly rising credit expansion in the past ten years. The problem is that going into so much debt in a relatively short time period could make it quite vulnerable to a black swan event. Among the areas of high debt is the amount to corporations in which bank loans and corporate bonds have been used significantly for financing business operations and investments. In 2017, China’s corporate debt was at 160.3 percentof GDP versus 73.6 percent for the United States or 99.9 percent for Japan. Its government debt is also high. In 2008, China’s sovereign debt was at 27.1 percent of GDP but reached 47 percent in 2017. The real problem is that much of the government’s debt is used to back state-owned enterprises (SOEs) and state banks which will only raise interest costs and the expense of servicing debt. A final key problem China faces is overproduction of goods and products. China cannot seem to stop making things and this has caused its factories to overproduce. For example, in 2018 11 percent of China’s factories were producing 20 percent more products than demanded by the marketplace. Combine this with Chinese firms producing less value-added production over time with capital at their disposal and there is the very real possibility of over-production and eventual deflation. These, along with other economic and financial problems that China has, will only contribute to a slowing national economy with global consequences. The big question on the minds of economists and policymakers is when the global slowdown will have a substantial impact on everyday people? When will unemployment rates start to climb, welfare lines get longer, and people voice their displeasure in street protests? Then the question is what actions will governments take to put their economic ships on the correct path?